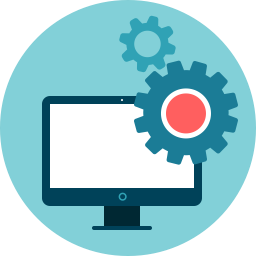 If you’re integrating an ERP system into your website, then two words you are likely to hear are configuration and customization. But what, exactly, do these terms mean, and is there a difference? Read on for an overview of ERP configuration, ERP customization, and the fundamentals of how ERP configuration and customization can help your business. If you have further questions about custom website development and integration, contact Clarity. ERP configuration and customization work in conjunction with one another, but there is a subtle difference between the two. ERP configuration deals with system components but not to your business process needs. Configuring your system components allows them to work within a given environment, which includes language, currencies, time zones, and more. Customization, on the other hand, operates specifically to suit the needs of your business. This can include anything from adjusting views and screens to changing the information that is displayed for a given group. 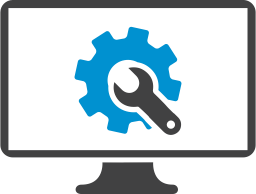 Configuring your ERP system is one of the most important parts of the process. This means changing the parameters that meet your business’s financial, language, shipping, and customer-facing needs. You can also configure your ERP system to recognize revenue by a certain set of specifications, like a geographical unit or product line. Most configurations survive software updates, while certain customizations do not. The ERP customization process can be as large a task as the company needs it to be. While the ERP system must be configured before use, customization is optional—though it greatly enhances the functionality of your ERP system. Customization can include company-specific task management processes, expanding the functionality with third-party software, and more. If you’re seeking an experienced ERP configuration and customization company, speak to a Clarity consultant for advice on how we can help your company. At Clarity, we know the impact that integrations can have on business. For nearly a decade, Clarity has established itself as a leading eCommerce solutions business, with over 300+ projects completed to date. Our team of expert developers has worked with all of the top ERP software and is capable of integrating them with your customer portal or eCommerce platform. To learn more about how Clarity can help you, or if you’d like a free quote or demo, call or click to contact us today!